Silicone rubber tubing is stocked in 50 ft. and 100 ft. lengths. Ask about custom diameters, sizes and/or profiles for your specific application. MOCAP manufactures a full line of masking products including many types and sizes of masking caps and plugs available in silicone rubber, EPDM rubber and high temperature vinyl. Also available: polyester tape, polyimide tape, polyester discs and polyimide discs. 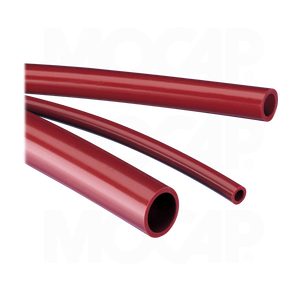 MOCAP stocks Silicone Rubber Tubing in many sizes for immediate shipment.